If you’ve ever been sent an address in a text message and tried to add it to a contact you’ll know why you need this app! 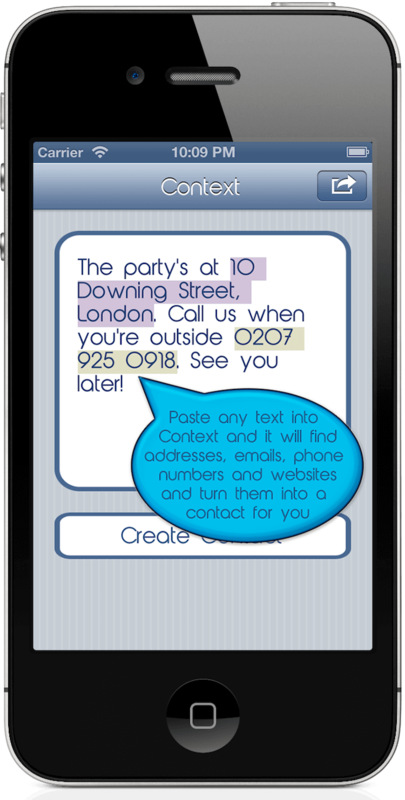 With Context you can generate a contact from any information you can paste. From any piece of text Context automatically picks out any and all: addresses, phone numbers, emails and websites, disregarding the rest of the text, and adds it to a contact for you. Address fields are looked up on the internet so they’re always complete with the fields in the correct order, regardless of if they’re present in the original text or not! If you’ve only got part of an address, don’t worry, Context looks up addresses over the internet and adds any missing information and you can even view a map of the location straight out of Context. 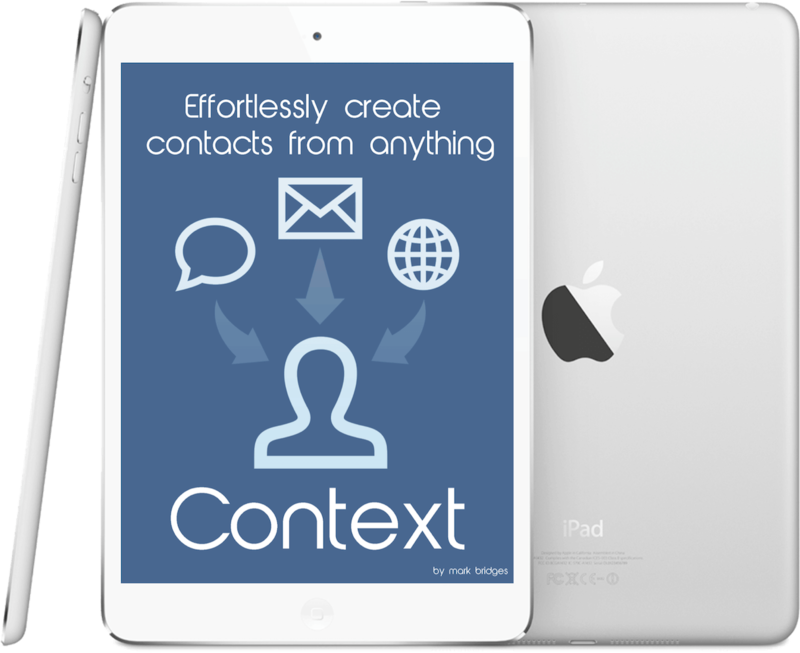 Context is totally free to use and fully functioning, albeit with adverts, for the creation of up to three contacts. If you’ve found Context useful please unlock the full version via the in-app upgrade and aid continued development of the app.